Manchester United have been handed a major injury boost with Romelu Lukaku expected to be fit to face Chelsea in the FA Cup final this weekend, according to the Sun. Lukaku was forced to miss United’s last three Premier League games after suffering an ankle injury during the 2-1 victory over Arsenal at Old Trafford on April 29th. The 25-year-old travelled to Belgium after the game and has been undergoing intensive treatment over the past two weeks but returned to United’s Carrington training base on Tuesday. 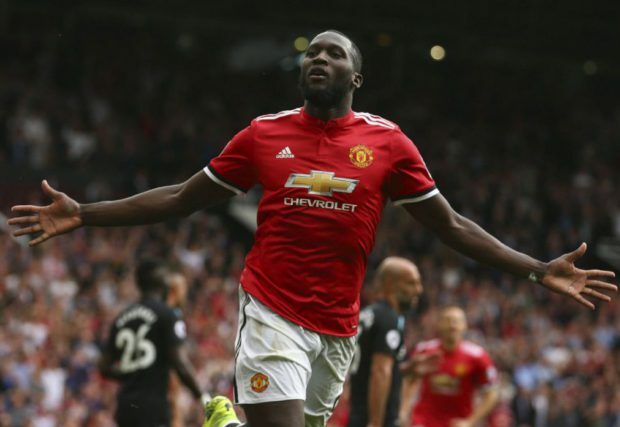 There were initially doubts over whether the striker would be fit for the FA Cup final but the Sun claims Lukaku returned to training yesterday without issue and is expected to face Chelsea on Saturday evening. Jose Mourinho suggested last week that Lukaku may only be fit for a place on the bench but it seems he’s made good progress in recent days as the newspaper says the striker is in contention to start against his former club. The Sun says Lukaku could even have played some part in United’s final league game against Watford on Sunday but Mourinho chose not to risk him and instead gave his first choice hitman more time to fully recover. The news will come as a major boost to United as Lukaku has been a key player for Mourinho this season having scored 27 goals since joining the club from Everton last summer. Marcus Rashford scored the winner against Watford at the weekend in Lukaku’s absence, but the England international is still expected to make way against Chelsea at Wembley this weekend. Tickets for the FA Cup final are sold out but you can still watch the game in bars around Old Trafford and you can visit Reiseshop to find out more information about hotels near the stadium if you’re staying over. United head in to the game on Saturday looking to win the FA Cup for the second time in three seasons having beaten Crystal Palace 2-1 at Wembley to lift the trophy in 2016.